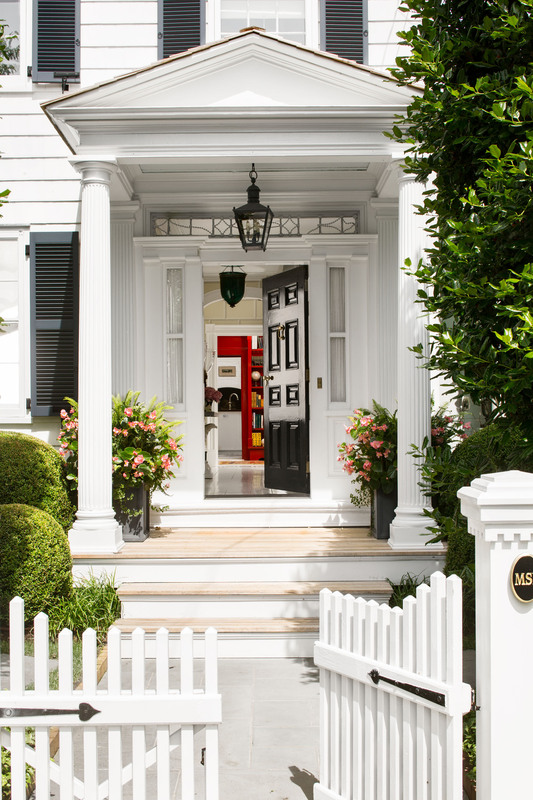 I love Sag Harbor and the work of decorator Nick Olsen, so it’s no surprise this gorgeous home recently published by Traditional Home won my heart. The historic Hamptons abode was built in 1810 by craftsman Benjamin Glover and in 1850 was combined with a nearby home (hence the grand Greek Revival-style columns and moldings). Luxury real estate broker Michael Lorber bought the property and hired Olsen to inject the interiors with playful color and nautical flair. I can’t get enough of the traditional with a twist result. Below, take a peek inside the dreamy Sag Harbor residence. 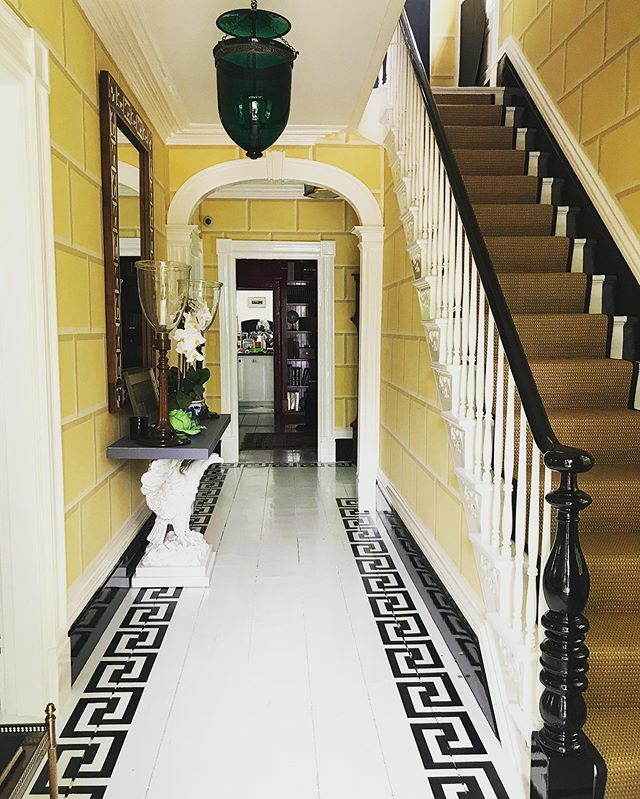 The entry hall boasts fabulous greek key floors (my dream!) and walls transformed by decorative painter Chris Pearson to resemble sunbaked yellow bricks. Another view of the entry hall shared on Nick’s instagram account. I am crazy about that green glass lantern. 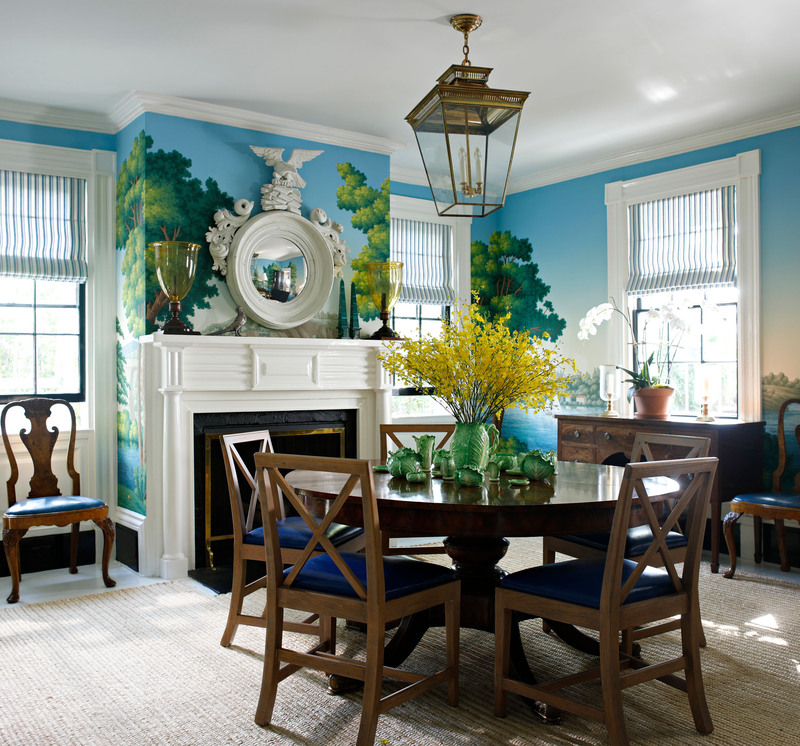 The dining room has a custom de Gournay wallpaper that celebrates the history of Sag Harbor in a new bold color palette. 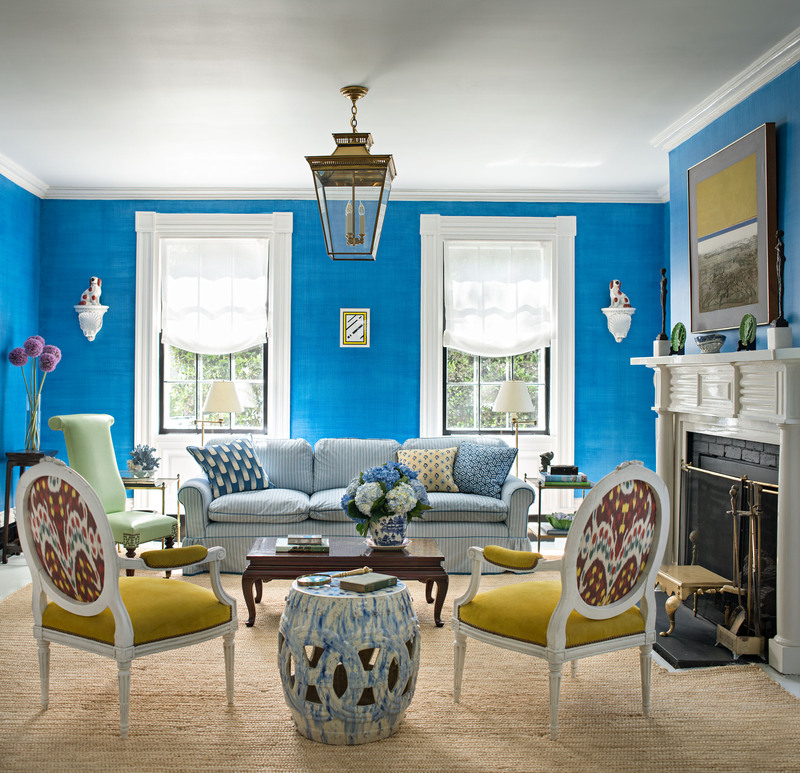 Bold blue walls with a crosshatch pattern inspired by Bunny Mellon make a statement in the living room. The nautical theme continues in the kitchen with compass stars hand-painted onto the blue and white floors. 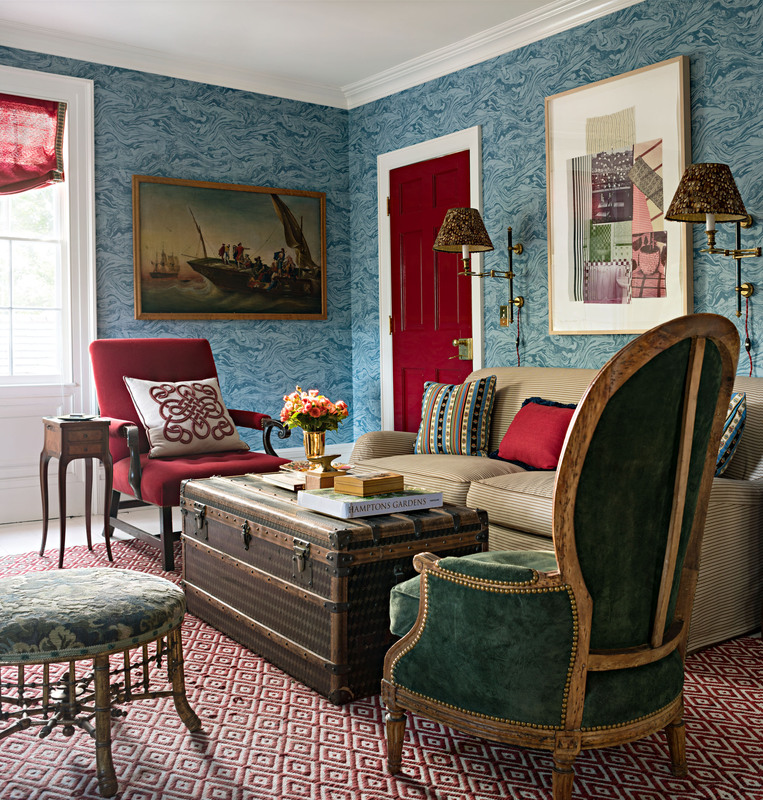 A cozy sitting room has marbled blue wallpaper and red lacquered doors. 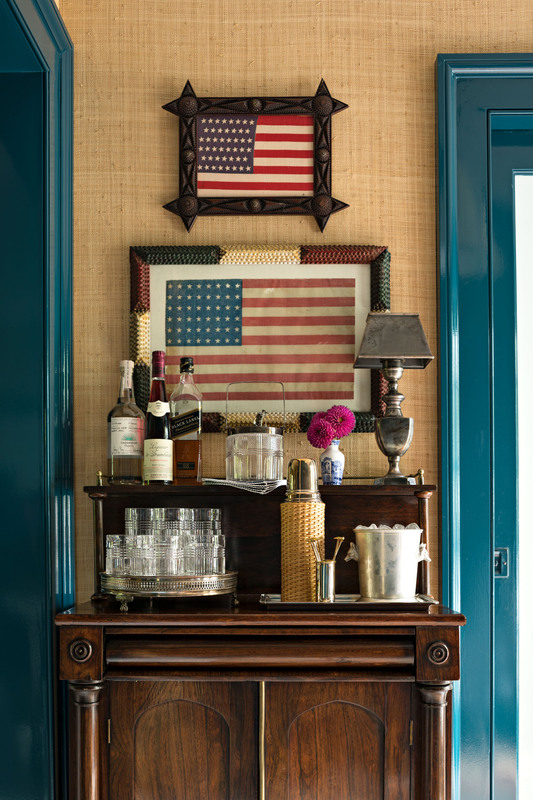 Lorber loves to collect art and above the bar hang two pieces of classic Americana. 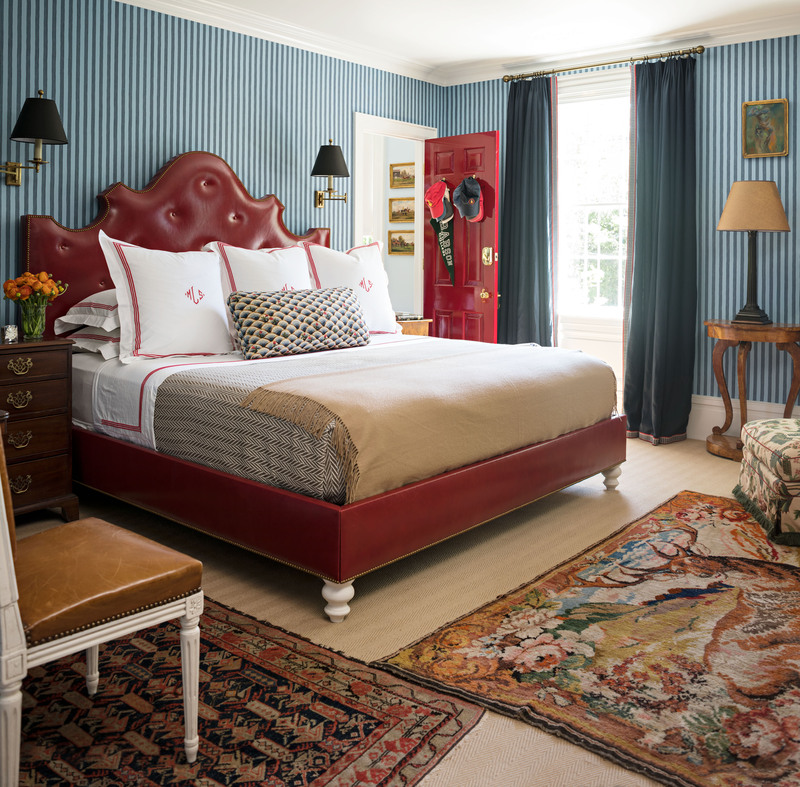 The master bedroom features blue-and-white pinstripe wallpaper and a tufted red leather bed. The red lacquered doors are such a fun touch. 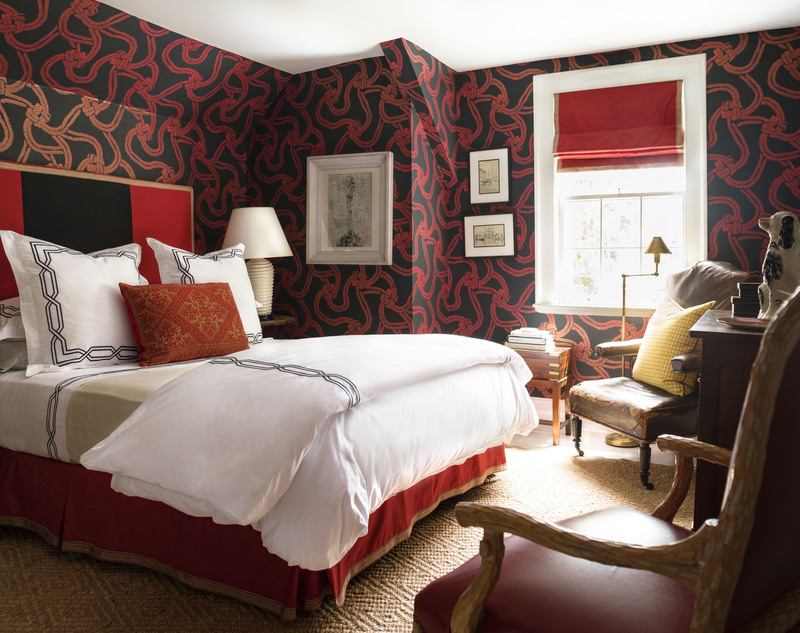 In a guest bedroom a red-and-black rope-motif wallpaper makes a bold statement. 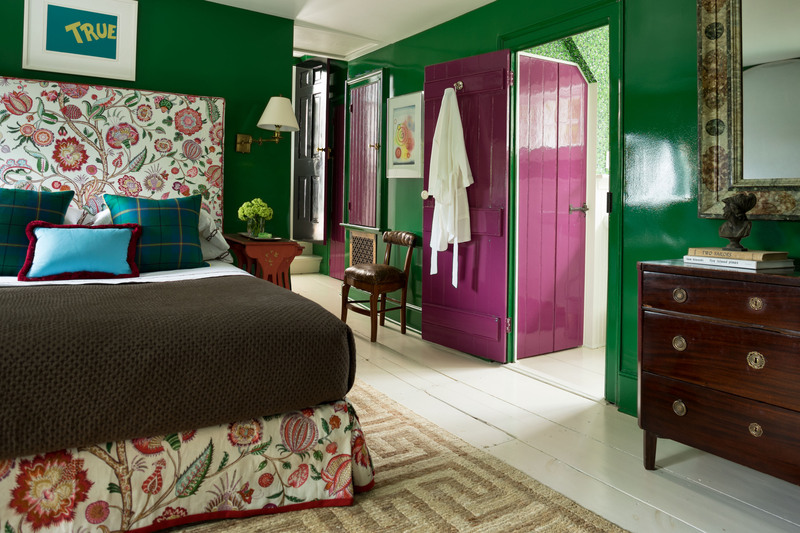 Last but certainly not least, another third floor guest bedroom has emerald green lacquered walls and eggplant lacquered doors. 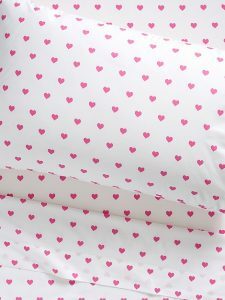 And did I mention the gorgeous floral headboard?! I hope you’ve enjoyed this home tour! 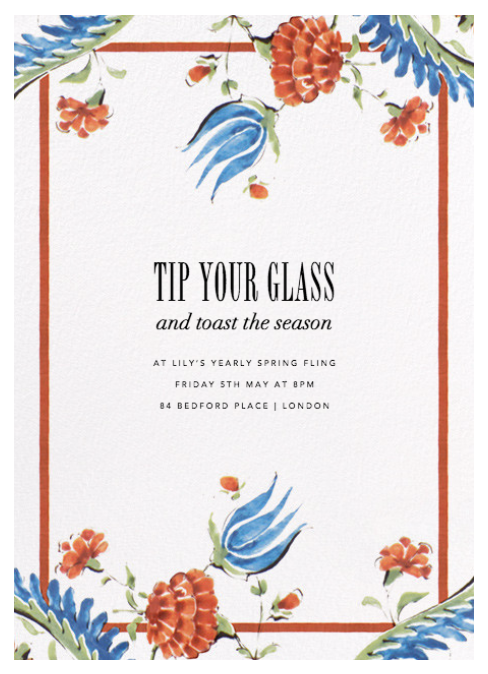 Be sure to stop by Traditional Home to learn more details on this special space. 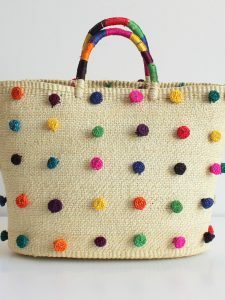 Love all the color. So tired of gray everything. 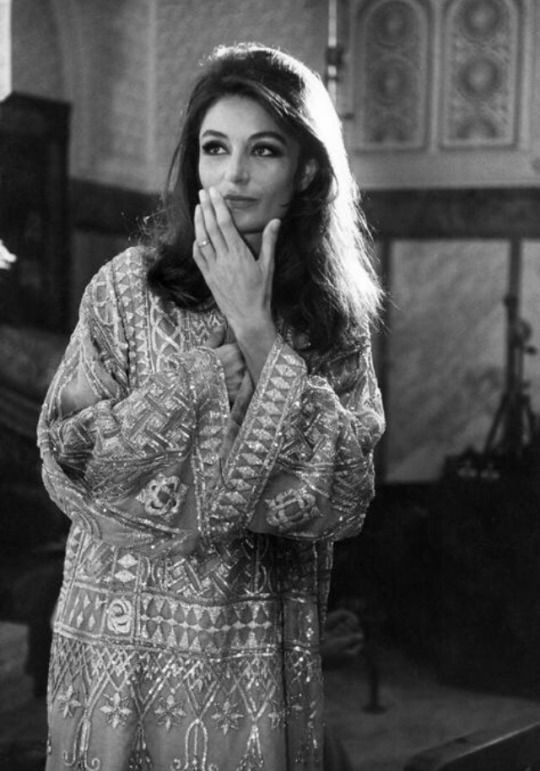 Bonnie – You and me both! 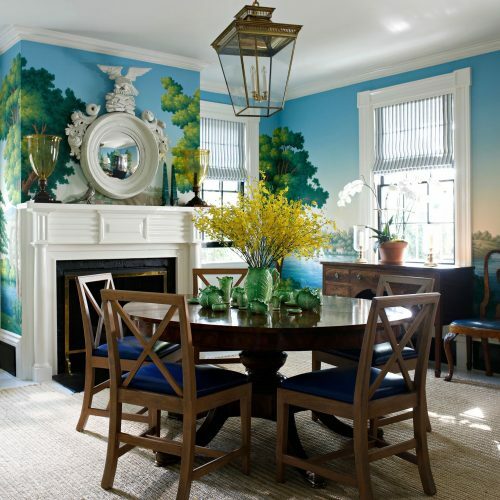 I am always a lover of color, but this space feels very overdone to me especially for Sag Harbor. The bedroom with the black and red wallpaper Is quite unusual and I feel that the burgundy leather headboard in the other bedroom is far too bold. 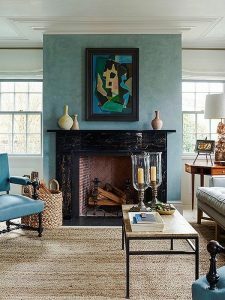 However, I do love the wall color in the main living room along with that gorgeous ruffle-corner sofa and super-chic Rothko over the fireplace.